Every year there are the same disputes between landlords or agents and their tenants about what can and cannot be deducted from a tenancy deposit. The issue of ‘wear and tear’ is the main cause for such fallouts with both sides beliving the other has flouted the fairness rule. A statement from the House of Lords says a tenant cannot be held responsible for damage at the end of a tenancy caused by ‘reasonable use of the premises and the ordinary operation of natural forces’. Most in the lettings industry follow this ethos but where do the boundaries between wear and tear and damage lie? Cleaning is usually the biggest grey area but it’s quite simple; if it was clean when you moved in, it should be clean when you move out. This doesn’t mean every teaney tiny speck of dirt needs to be removed from the oven, of course some marks will appear throughout the year from regular use – this will fall under the wear and tear or natural forces umberella – but a filthy oven that has clearly never seen a cleaning product in its life is a chargable expense. Similarly, redecoration in another area of dispute. Marks and scuffs on the walls are going to occur, as are slight scratches to internal door. These are all common traits of every day use. Great big scratches, gouges and damage to walls and doors from unauthorised screws, nails and pins are not and are therefore paid for at the expense of the outgoing tenant. Blatant damage to the property and its fixtures and fittings is pretty clear cut. A broken banister, stained or burnt carpet, dints in doors or electrical items, cracked window panes or tiles are not examples of wear and tear. Whether accidential or deliberate, the tenant has caused damage to these items, greater than would be expected from general use. Replacements or the cost of repairing such damage will be deducted from a tenants deposit. In a student house, any damage in communal areas; the kitchen, lounge, bathroom, hall ways or stairs etc, will be split equally between each housemate. Damage to bedrooms will come from the individuals deposit. Missing items or leaving undue amounts of rubbish at the property, including the garden, at the end of a tenancy will also result in deductions from a depositas replacements or clean-up work is required. In short, tenants have a duty of care to return a property in the same condition at the end of the tenancy as found at the start and as listed on the initial inventory report – with allowance for fair wear and tear. But communication between both sides is vital. If there’s a problem or fault in the property at any time during the tenancy, the tenant must inform the landlord or agent immediately. A swift solution can be found and hopefully prevent the situation getting worse. All parties being present at check-in and check-out will also avoid any unnecessary problems. At Mistoria Estate Agents, we are a professional letting agent and will ensure the correct procedure is followed when it comes to dealing with tenancy deposits and any deductions. 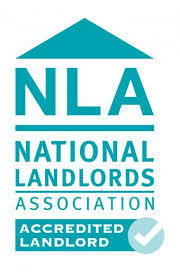 We will do this on behalf of our landlords, taking the stress and responsibility away from them. This is all covered in our property management contracts. For the tenant, we will ensure your deposit is stored in an approved deposit protection scheme and endeavour to return as much of it back to you an the end of your tenancy as possible. Only what is absolutely necessary will be deducted.